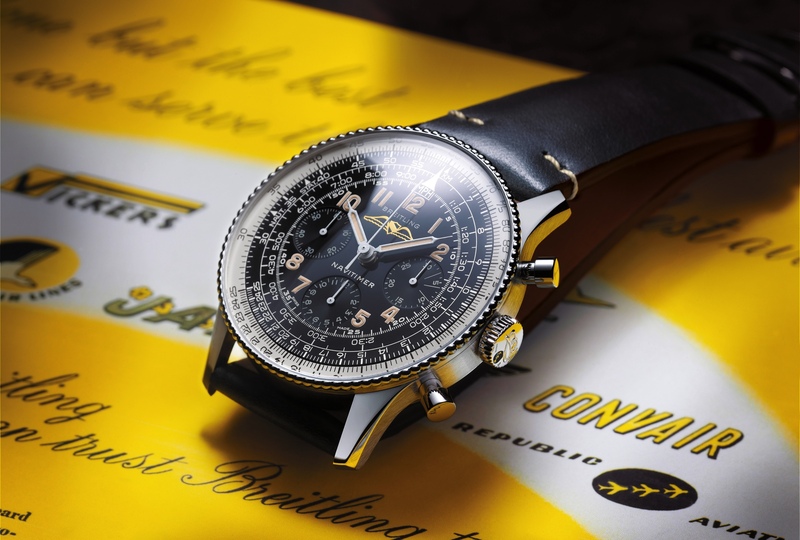 The Chronomat 44 Raven in black steel is the newest addition to the Breitling Chronomat collection. 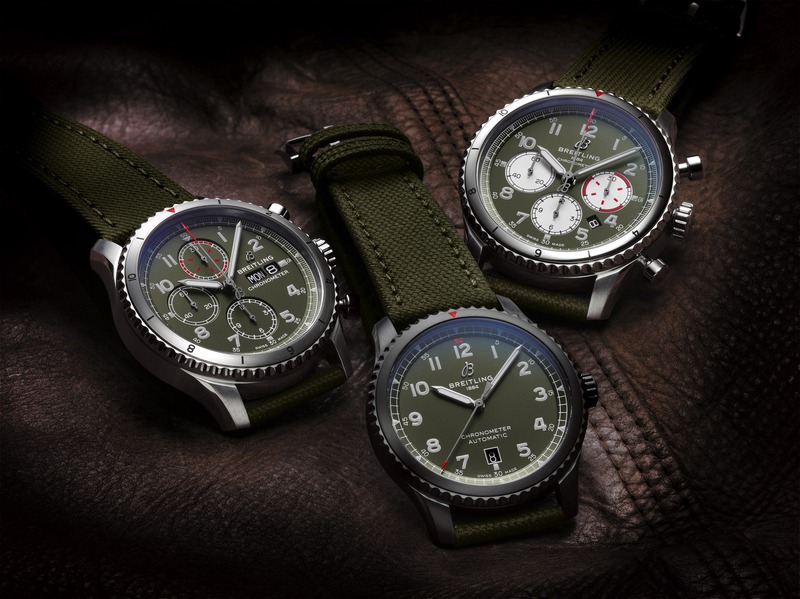 The watch is presented in a 44 mm diameter black steel case, with range accents on the bezel, tachymeter ring, subsidiary display hands and the chronograph central seconds hand. The orange accents clearly standout against the matt black dial, indexes, hands, bezel and case. The hours are marked by large, matt black applied indexes with cream colored lume. The hour and minute hands are also matt black, with cream colored luminous material. The crown and pushers are in black steel, and have a polished finish that contrasts with the matt surfaces seen on the rest of the watch. On the back is a sapphire crystal that shows off the Breitling caliber B01 in-house chronograph movement. 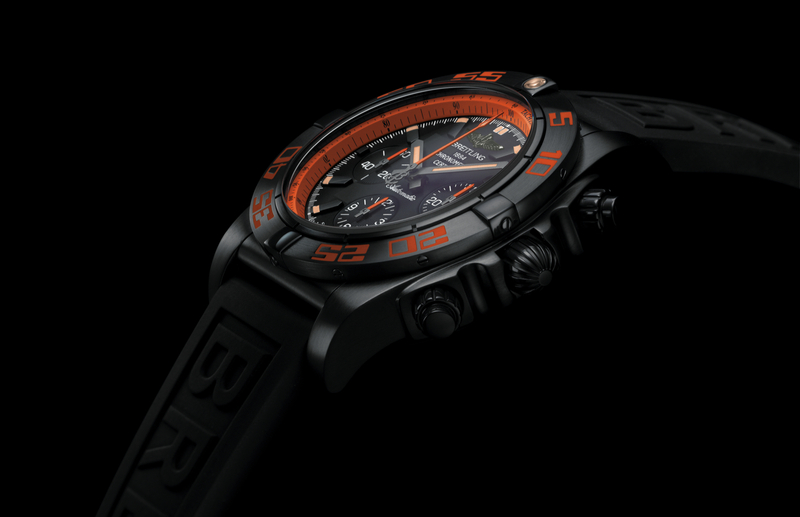 Notably, the oscillating weight has been blackened and features orange text to match the color scheme of the watch. 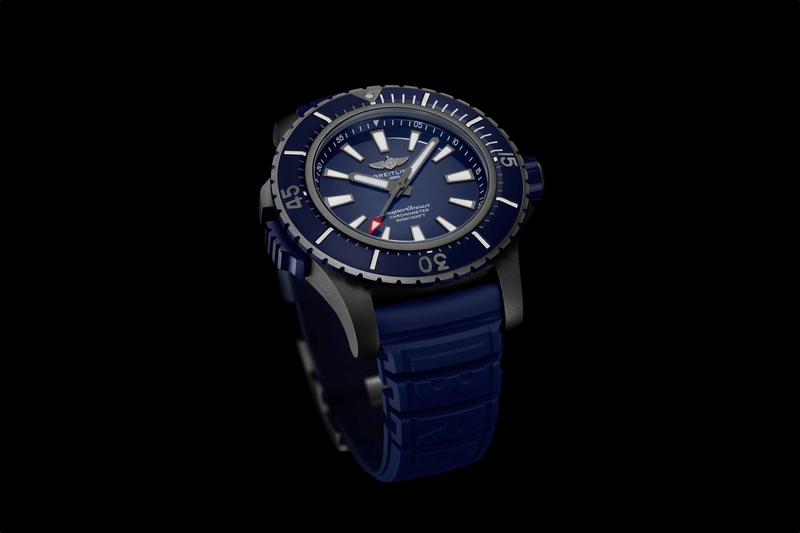 The Breitling Chronomat 44 Raven is comes with a rubber Diver Pro strap and a traditional buckle (shown) or a rubber Ocean Racer strap, which has holes in the strap and uses a folding clasp, is also available as well.